Feeling the Bohemian vibe? Want a conch ring without the commitment? Go boho with this super comfortable ear cuff. Love the minimalist look? Then this handcrafted gold tone non-pierced ear cuff is for you. Super lightweight and easy to wear. No piercing? Not an issue. This little beauty just slips on and off. Easily customized to fit your ear with just a gentle squeeze. 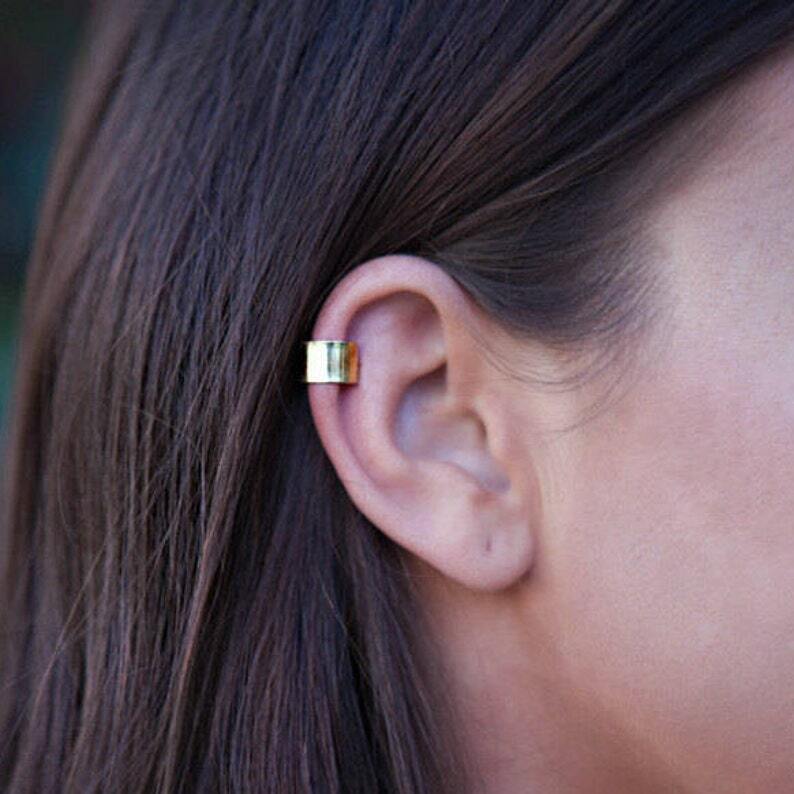 Our unisex ear cuff has been expertly cut from high quality Jeweler's Brass (red brass), filed, formed, rolled, and polished to a nice shine. We quadrupled coat each cuff in spray-on industrial strength, hypoallergenic shellac coating. Please allow an extra few days for creation before shipping to allow the sealant to fully cure. The speckling you see in the photo is from the clear acrylic coating that is applied to prevent tarnishing. NOTE: Photos are taken using MACROS setting. Item may appear larger than actual size. Only About 1/3 of an Inch (0.85 cm) Wide. MAIN PHOTO CREDIT: The Allure Review. Many thanks to the ladies over at The Allure Review for such a great photo. LOVE my new earcuff.A+ seller and shop. Go see! Absolutely beautiful work! I bought this for my roommate and she loves it!